Our next fountain events will be the New events will be the Boston Vegetarian Food Festival on October 21-22 at the Reggie Lewis Athletic Center, Boston. New events will be posted on this page all season long. Follow us on Twitter for updates. 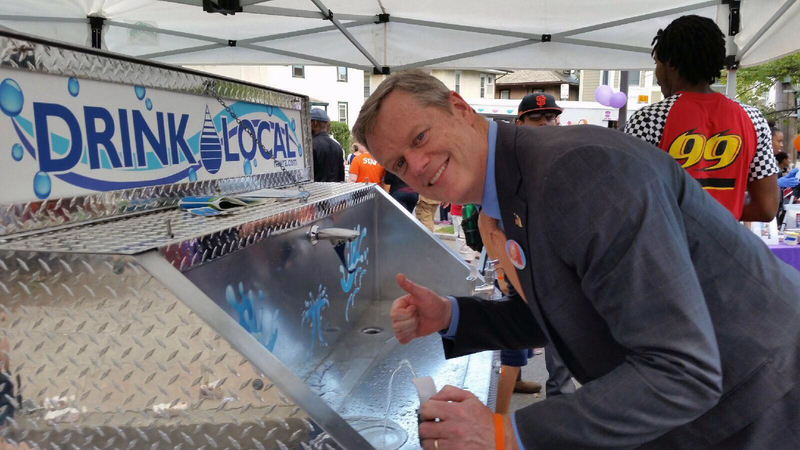 Keep an eye out for MWRA's roving water fountain this summer and fall. 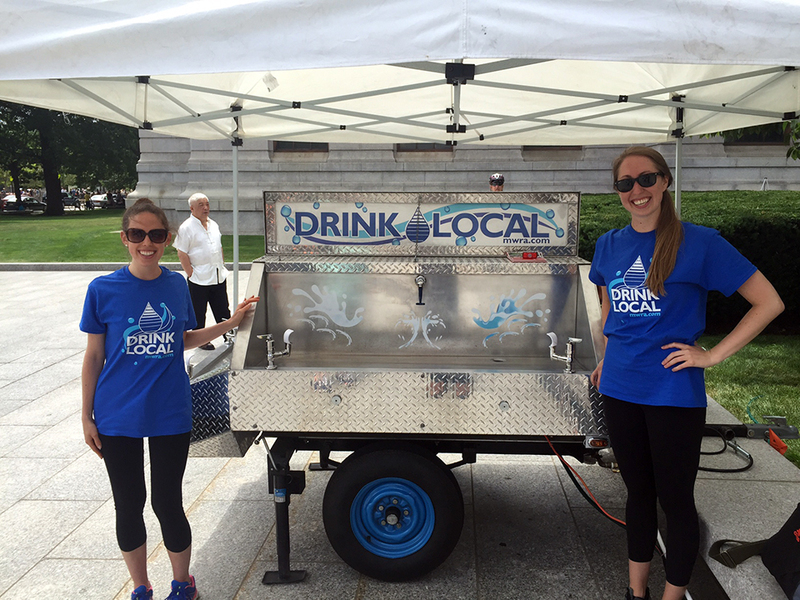 The fountain provides free chilled drinking water to public event-goers in Boston and other MWRA service communities. Just bring your own bottle or cup and fill it at the fountain for free, or try drinking from one of the old-fashioned bubblers. Either way, the water is fresh, local and safe, and you don't have to spend extra money on bottled water or worry about throwing away an empty container. MWRA's water comes from the pristine and protected Quabbin and Wachusett Reservoirs in Central Massachusetts. It is treated according to strict state and federal standards and tested every step of the way to your tap. 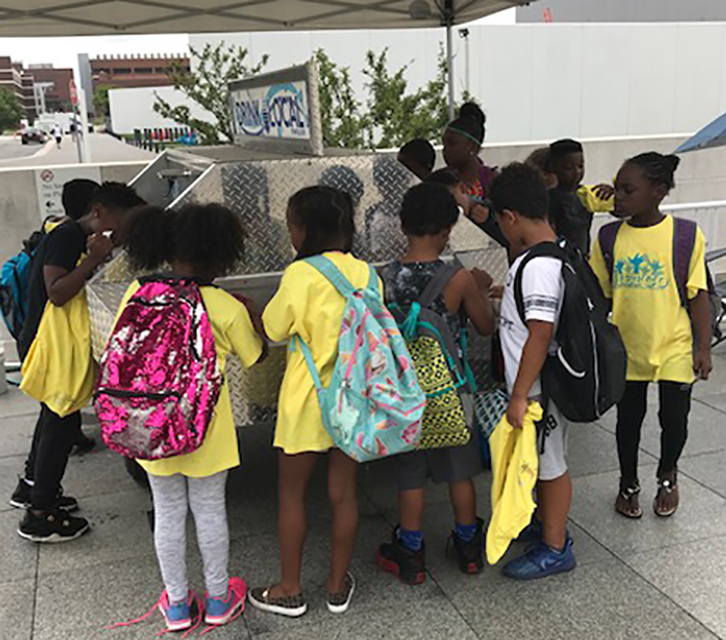 If you are planning a public event within the MWRA service area and would like to book our free fountain, please contact Katie Ronan, MWRA, (617) 788-1177.